Your domain name is an essential part of your business in the twenty-first century. If you are operating a web store for your business your domain can drastically affect your web traffic and make or break your business. There are a variety of factors that will affect your business all within your domain name. This simple name is oftentimes overlooked by businesses when they open online. It is not enough to have a website these days. You must have a good website with a strong domain name. Your domain name can affect SEO (Search Engine Optimization). Back in 2012 Google changed its search analytics. You used to be able to get your domain to the front page of Google by using the Exact-Match method. In Exact-Match you would use a domain like CheapBooks.com if you were selling cheap books. According to Search Engine Journal, you are better off using your business or brand name. Instead of CheapBooks.com you’d use something like RinestoneBooks.com. Your brand name will also likely be easier for your customers to remember. Ensuring that your website is easy to remember is essential to driving repeat traffic. The websites we all use most are easy to remember. A long Domain is going to be hard to remember. Google.com or Ebay.com is a lot easier to remember than TheWayWeAllLikeToDanceOnThursdays.com. Something simple opposed to something long and ensure that your domain is easy to spell. Using a hyphen to separate words in your domain name might seem like a good idea and at first glance it is. However, when considering your domain name, you have to think about when the last time you typed in a hyphenated domain was? Probably not recently. The public is going to forget hyphens out of habit because most websites are written as websitename.com opposed to website-name.com. Numbers work in the same way. If most domains contain only text and no number. The numbers of most domains are typed out (i.e. three opposed to 3). Viewers may also think that numbers in your domain like 0 as being o’s or 1’s and L’s. If you do have to use a number, ensure that it is an easily identifiable number like 9. Unless you are a non-profit organization you are going to want your company to be listed as a dot com. As a society, we see dot com’s as being more legitimate and professional than one of the numerous other domain suffixes. It’s also so uncommon that companies have dot net, org, or any of the numerous other suffixes your domain can have that it’s going to be a chore just to get your customer base to remember that your business is a dot net opposed to a dot com. We have all been programmed by years of almost exclusively typing .com so to avoid confusing your customers or sending repeat business to the wrong site do the simple thing and use a dot com. As said earlier try to avoid using non-dot com domains. You can go to GoDaddy’s Domain Search here to see which domains are available. If there’s a BobsTShirts.com you won’t look good as BobsTShirts.org. It also won’t help you stand out in the crowd. The GoDaddy Domain search will also recommend similar names to what you type in that you may take into consideration. Likewise, you do not want your website to be too similar to another website’s name. This will confuse your customer base and looks tacky. You don’t want to be the guy that made entrepreneures.com to compete with Entrepreneur.com. If you are having trouble creating a unique name you can use Google’s Free Trends to find related topics to generate a great domain name. With this service, you can see where in the world people are searching for terms associated with your business and which search terms are related to your business. This will help you with building your website for better SEO. 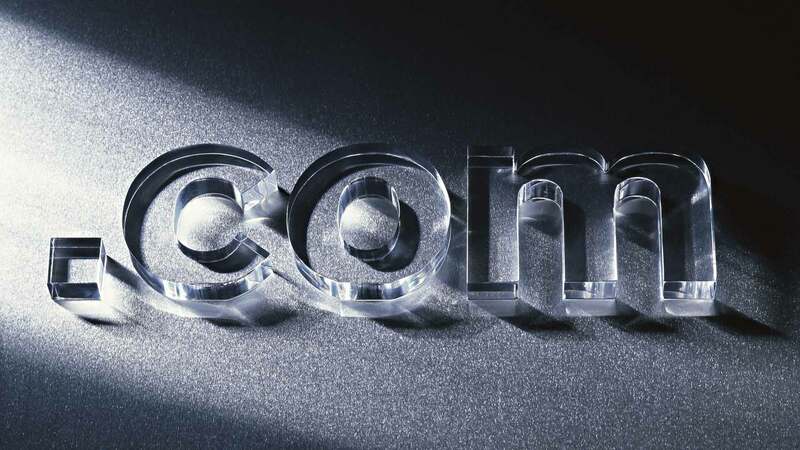 You may think you are set with just your.com. However, it is often recommended that you purchase additional domain suffixes like .org or .net. Having these will prevent others from using the same website with a different suffix to mooch or scam customers. This is an extremely rare occurrence and you are more likely to have someone purchase (your website name) .net when you own the .com without it being a direct competition with your business. However, this could still confuse your customer base. Taking all this into consideration you can make the most of your domain name and drive business to your website whether it be a WordPress site or a Shopify store.